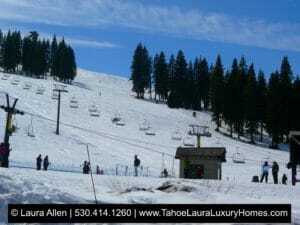 Why buy a condo in Tahoe Donner? All condominium developments located with in the Tahoe Donner subdivision are part of the Tahoe Donner Master Planned Community. The benefit to condo home owners is the ability to use all of the Tahoe Donner recreational amenities and facilities, which are available for a very affordable home owner annual fee. 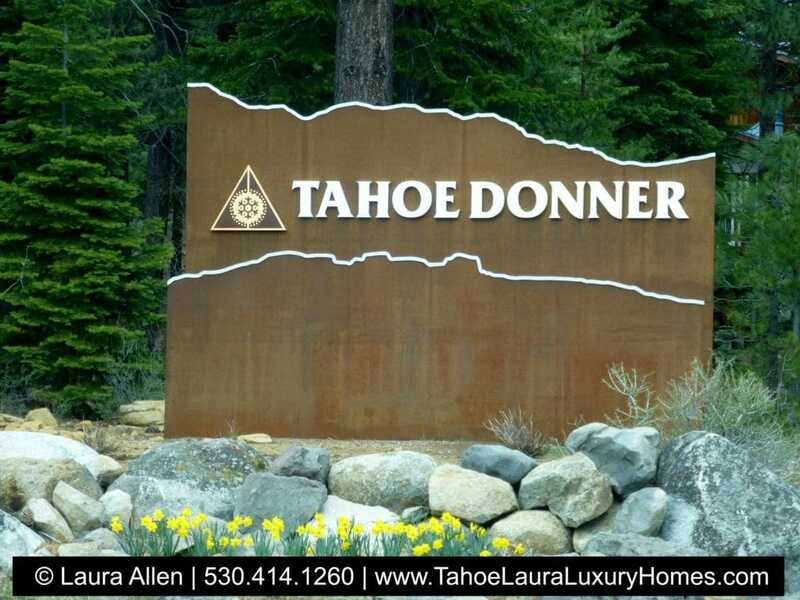 Tahoe Donner was established in 1971 and today is one of the largest PUD’s (Planned Unit Developments) in the United States with +/- 6,500 properties, +/- 25,000 members, and over 68 +/- miles of private roads within the subdivision. The Tahoe Donner community is located in Nevada County in incorporated Truckee, CA. Over +/- 80% of the property owners are second home/condo owners. Tahoe Donner has over +/- 7,000 acres (over 4,000 acres of common area and +/- 45 miles of trails), with twenty-six (26) buildings and over 120 acres of ski-able area at the Tahoe Donner Downhill Ski Resort area. The Tahoe Donner area is a mountain community that offers recreational facilities and events for their members (property owners) and the public. While most facilities are open to the public for a single use fee, there are some facilities that are only for Tahoe Donner members and depending on the member package selected, access to the private facilities can either be covered under the additional HOA Recreational Fee, or on a single use fee basis . Tahoe Donner public recreational facilities include a downhill and cross country ski resort areas, a championship 18-hole golf course, equestrian center, and campground. 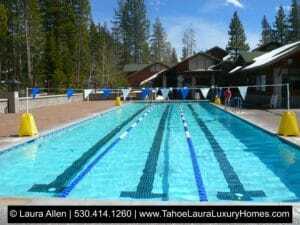 Tahoe Donner also has private recreational facilities that are for member-only & guest use and include tennis courts, hiking trails, pools (seasonal and year-around use), a beach club marina at the east end of Donner Lake and a fitness center. 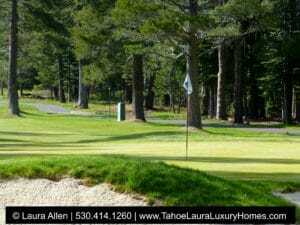 The Tahoe Donner has a number of new and newer condominium developments that range from large developments to smaller mini-condo developments (2,4,6, etc… unit developments – you get it – small mini developments) within the Tahoe Donner Community. While the Tahoe Donner community has condo developments/townhouses, the Tahoe Donner community is mostly made up of mountain style homes that are a combination of new and newer construction houses, along with smaller older cabins. All properties condominiums/townhouses and homes must meet the Tahoe Donner Architectural Standard Review community standards, along with maintaining the property to those standards. You will find a variety of condominium/townhouse styles along with high-end mountain style homes that range in style from the traditional mountain lodge style to mountain contemporary in this community. 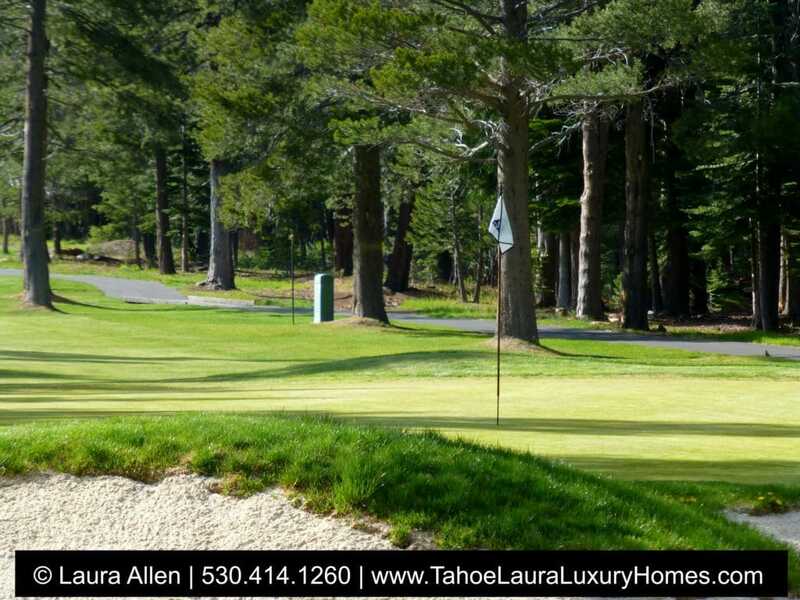 If you are looking to buy into the Tahoe Donner community, you’ll find a variety of settings ranging from spectacular mountain and valley views, views of the Tahoe Donner Ski Resort, golf course, pond, season creeks/rivers, meadows, and forest settings. The Tahoe Donner area is known for its easy year-around access, the larger lot sizes, nice wide streets, and the large diverse selection of properties that are available at any one given time. As a potential buyer for the Tahoe Donner community you’ll be impressed with financial management of the how well run the community is run with access to the Tahoe Donner financial information on their website. Tahoe Donner condos and homes for sale are very desirable because of their close proximity to downtown Historic Truckee, Donner Lake, Northstar Ski Resort, Squaw Valley Ski Resort, Alpine Meadows, and the entire North Lake Tahoe area. Tahoe Donner is where you’ll enjoy the Tahoe lifestyle and all of the outdoor recreational activities our area has to offer such as boating, hiking, biking, tennis, golf, skiing, shopping, and restaurants. 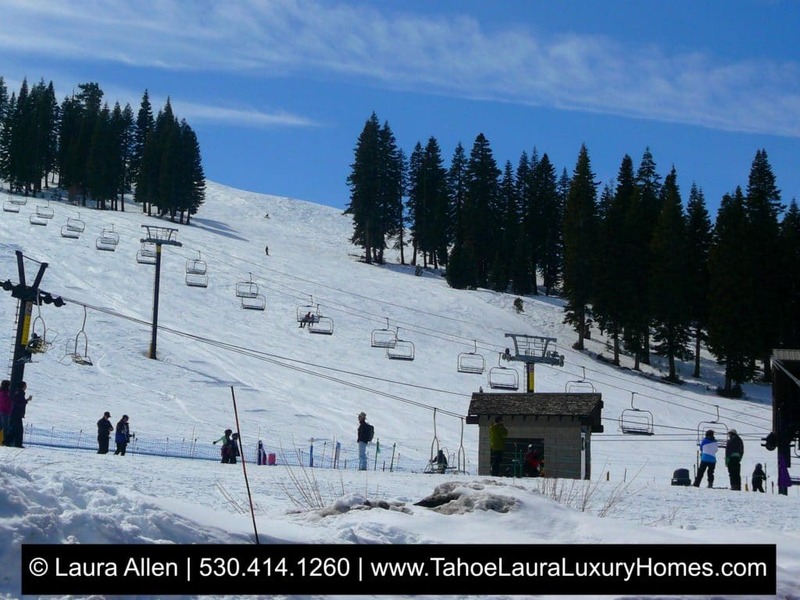 The Tahoe Donner area is a favorite mountain home community for second home owners and it is a great place to live all year long! If you already own a Tahoe Donner Home and want to know what your property is worth, call me 530.414.1260 for a confidential consultation. Need more help in trying to figure out your Tahoe Donner, or Truckee condo buying options? Do you want help figuring out the different neighborhoods, locations, developments and their amenities, HOA fees and the ones that will best meet your needs?